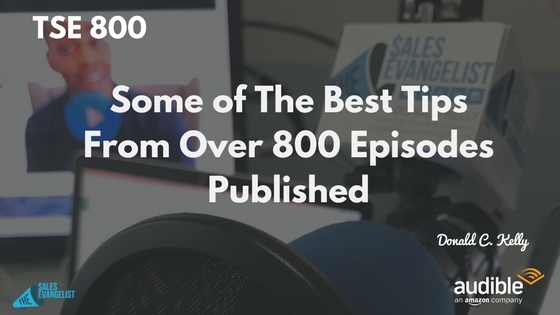 Today’s podcast celebrates the very best sales tips we’ve learned in the previous 799 episodes of The Sales Evangelist podcast. 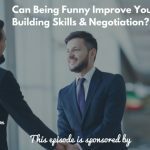 I’ve pulled together the best sales tips I’ve heard on the show, as well as some details about how I got started in sales and why it matters so much to me. We also discuss where we’re headed next and the new things you can expect from us in the coming months. In episode 001, Jared Easley, host of Starve the Doubts podcast, and Jeffrey Gitomer, author of The Little Red Book of Selling, discussed self-doubt, and the ways to overcome the self-doubt that plagues people in all industries: sales, business, even life. Gitomer shared the impact of growing up in a family where people made their own money. Because he grew up around it, he assumed he would do the same. The people around him were successful, so he assumed he would be successful as well. He never doubted himself, even when he went broke. From that, Gitomer explained the importance of surrounding yourself with people who are achieving great things. Spend time around top performers and see what you can learn. Serial entrepreneur Ralph Quintero challenged us to do the things we know we need to do as sales professionals that will bring us success and happiness. We should begin by looking at numbers, because they don’t lie. If we make 10 phone calls but convert only 2 of them, those numbers don’t lie. Perhaps we’re allowing our fear of rejection to keep us in the office instead of getting in front of prospects. Maybe we’re staying out of the office to avoid working the phone. If you are’t constantly hustling, you may be the reason you aren’t achieving the success you desire. Many of us mistakenly believe that buyers make decisions based upon products, services, brand, pricing, or other variables. Jill Konrath challenges that notion with research that indicates buyers make decisions based upon their experience with their sales person. The more information you have about your buyers, his priorities and plans, his obstacles and challenges, his processes, and his finances, the better equipped you’ll be to bring insights and information that can help him meet his objectives. Jon Buchan shares his genius copywriting experiences with salespeople who are engaging in cold contacts. He takes advantage of the fact that his prospects don’t know his name and he uses it to inject humor and honesty into his cold emails. My name is Jon. You don’t know me because I got your name from a list, but at least that means you’re list-worthy, right? Because his emails begin with such brutal, unexpected honesty, he has credibility in the eye of the prospect. Additionally, he has made them smile and he has piqued their curiosity. Be human. You’ll stand out from the others. Patricia Fripp came to the U.S. with $500 and made a name for herself as a woman specializing in men’s hairstyling. She started her own business when she was 30, and she invested time and resources in several speaking courses at the urging of her mentors. When she was 39, she sold her hairstyling business and started a business as a keynote speaker, which led her to work with sales professionals who seek to improve their sales presentations. Her clients realized that they were in danger of losing large deals, not because of price or offering, but because of presentations. As a result, Fripp teaches sales reps to sound more professional, more personable, more persuasive, and to connect better with clients. Each of us has our own niche in sales, and we often get into our silos and focus on our own industry. Other professionals are selling successfully in other industries like cars or advertising. If those people are doing something that might benefit you, wouldn’t you want to try it? The The Sales Evangelist Hustler’s League is an online group coaching program that brings together sellers from all over the world to share training, exchange sales tips and grows in their careers. We’ll be adding a second podcast in April and we’ll work with companies later this year to generate leads, create opt-ins, and develop business. We hope you’ll join our Facebook group The Sales Evangelizers. 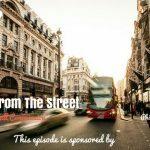 We also hope you’ll share this podcast with others who can benefit from it, and that you’ll leave us a review wherever you consume this content. If you haven’t already, subscribe to this podcast so you’ll benefit from all the things we have learned and will continue to learn.